Who is Queen Bri? 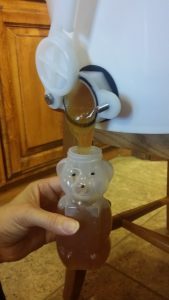 Maker of Award-Winning Honey in OKC! Queen Bri’s Honey is located in Oklahoma City, and we have multiple bee yards where our bees forage and gather their honey. Our bee yards are located on the outskirts of the city in the countryside where our bees have access to fields of clover, wild flowers, and honey locust tree blossoms. The nectar from these sources make our honey very clear with a very sweet flavor and sweet aftertaste. 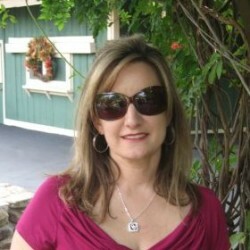 My name is Tonya Wells, and I am the Head Beekeeper for Queen Bri’s Honey. 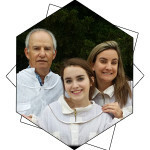 With my dad, Paul Leathers, and daughter, Brianna, we are 3rd, 4th, and 5th generation beekeepers. My dad’s maternal grandfather had many hives he managed, and my maternal grandfather also kept a couple of hives of honeybees in his backyard. For many years, our family had gotten out of beekeeping after my maternal grandfather became too ill to care for his honeybees. As I was growing up, I used to get as close as I could to his hives, and I’d just watch them flying in and out of their hives, mesmerized by their activity. I would ask him if I could suit up with him to see inside the hives, and being a very old school male who believed girls had no business being involved in beekeeping, he would shoo me away and tell me that girls couldn’t be beekeepers. But, I am hear to tell you, unequivocally, girls make GREAT beekeepers! If you’re a woman or if you have a daughter interested in getting into beekeeping, there is absolutely no reason not to become a beekeeper. My daughter and I absolutely love it! My daughter and I were the first to continue the family tradition, and most recently, my dad has become a beekeeper as well. There’s just something in our blood that fascinates us about these little creatures. 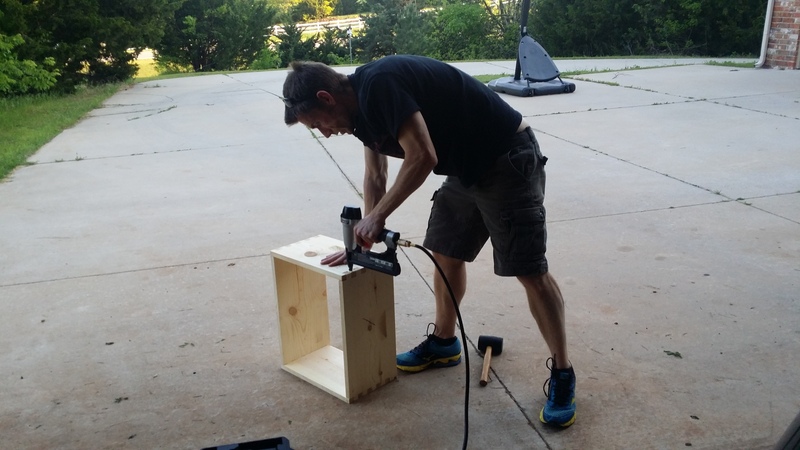 We started our foray into the beekeeping world several years ago after my kids and I started having a lot of trouble with allergies and asthma. I had read that eating local honey could help alleviate some of these symptoms, so I began to look around for local honey from our area. When I did finally locate some local honey, I found out that there are so few beekeepers in our area that most of them sell out of their honey by the end of August or September after they harvest it around the 4th of July. I also started doing research about the struggle of the bees to survive, reading books, articles on the internet, and watching documentaries like “Survival of the Bees”. I was very concerned to find out that the United States currently loses almost 50% of its hives each winter due to colony collapse disorder and various other reasons. I decided it was time to get involved. I LOVE my fruits and veggies. So, unless I wanted the only access I had to fruits and veggies to be out of my own garden because the bee population decreased so much that stores can no longer keep their produce shelves stocked, I decided that it was time to join in the fight to help save the bees. Plus, with many beekeepers in my own state being older, our state and many other states within the United States desperately need an infusion of younger beekeepers into this hobby in order to ensure that future generations can benefit not only from the rewards of being able to purchase honey locally, but so that they can also help the struggling bee population. If nobody helps out the honeybees, eventually they will die out. It’s already happening. We literally lose 50% or more of our bee population every winter here in the state of Oklahoma. Other states have similar problems. It is only through the continued efforts of beekeepers who ship in bees back and forth across state lines that we’re able to continue to replace the the bees that die off each winter. So, we decided as a family to take the plunge and dive into the world of beekeeping. My husband and I took a beekeeping class together to get a crash course before the nectar flow started in Spring. 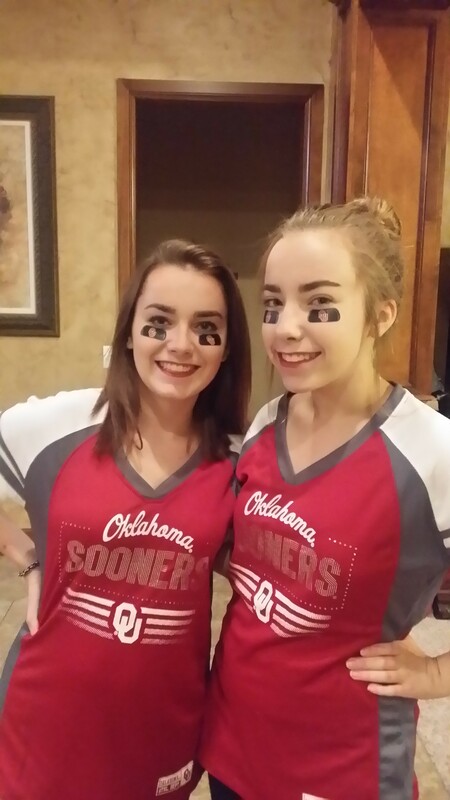 Surprisingly, my three teenagers (this is Brianna on the left with her twin sister, and I also have a son) were very interested in helping out the bees too. They wanted to know how they could help. I told them they could help me maintain the hives for the bees while they’re making honey, or they could help me extract and bottle the honey. After the first hive inspection, two of my kids decided they’d be happy to just help out with extracting the honey and helping me bottle it. They were still afraid of the bees even with their beekeeping suits on. Brianna, on the other hand, fell in love with the bees. This came as quite a surprise because she doesn’t like honey – at all. 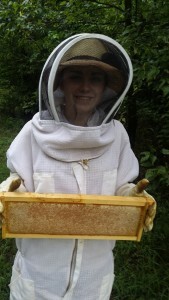 But, it IS in her blood as a 5th generation beekeeper, so it wasn’t a complete surprise. 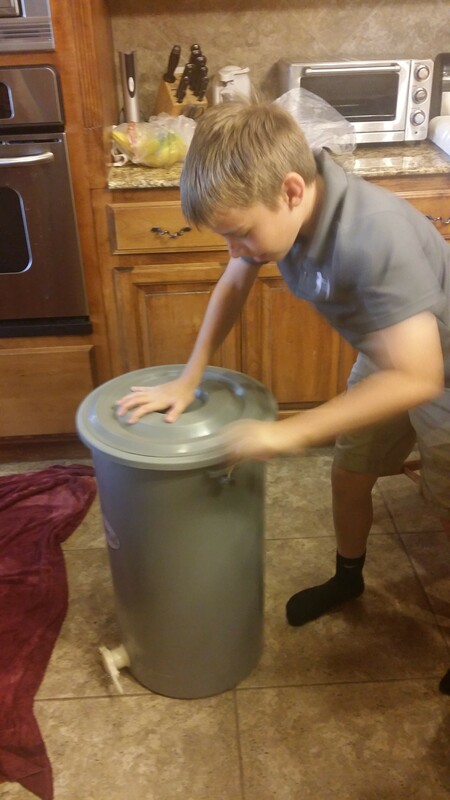 If you have kids who are interested in beekeeping, don’t think they’re too young to help out. Young people LOVE working with honeybees! But, I get this. I didn’t know it before I got into beekeeping, but there is something about beekeeping that, regardless of your age, is just entrancing. It’s relaxing. The hive smells like a bakery, especially when they’re making ‘Bee Bread’ to feed their brood, and the hive is giving off a yeasty, freshly baked honey-wheat bread smell. The smell alone just instantly relaxes me. But, if that doesn’t relax you, the buzz of the hives while you’re doing the inspections will melt off any stress that you are holding onto from earlier in the day. Watching each of the workers come and go from their entrance, watching them scrub down the outside of their hive on cleaning day, watching them feed their brood, or seeing them communicating with each other as foragers come back to tell the others where they’ve found a large cache of nectar, or watching the honey bees building new comb is so fascinating to watch that sometimes I’ll stand there watching the bees for 15 minutes before I realize that I’ve lost track of time. Queen Bri also became mesmerized by the bees for the same reasons, and now every time I’m doing hive maintenance, she is right there with me as my helper. And, Brianna has gotten so good at hive maintenance that sometimes she just takes over and does most of the work while I keep the bees smoked for her. Queen Bri has become very educated about bees as well by attending our local Beekeeper Association meetings and developing friendships with other beekeepers, reading about beekeeping and honeybees online, watching videos about beekeeping, and by trial and error as a beekeeper herself. She is frequently asked by teachers at school to talk a little bit about her bees. They’ll ask her to explain how the hives are maintained, the types of pests that we have to battle, and why they are struggling to live. And, a lot of times they’ll hit her up about bringing them some bottled honey from her hives! Queen Bri is quite the hustler when it comes to selling our local honey. 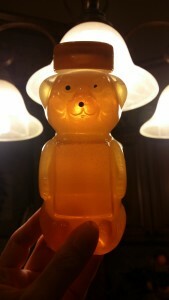 We sell raw, unfiltered local honey to our family, friends, neighbors, coaches, and her teachers and friends at school. She was selling so much honey at school last year that I had to tell her to hold up on selling anymore so that I could make sure we were able to fill all of the orders we had already. 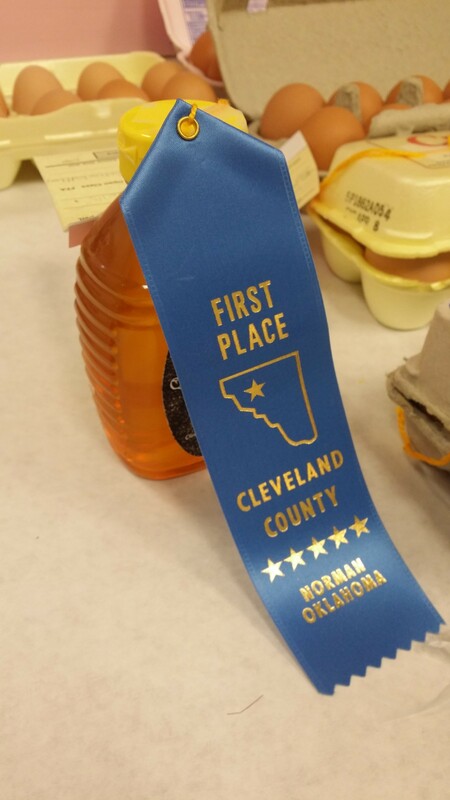 Queen Bri’s Honey was entered in the Cleveland County Fair in 2015, and Queen Bri was very excited to take home her very first 1st place ribbon for her honey, and at the Oklahoma State Fair in 2016, she took home a 3rd place ribbon. In 2016, Queen Bri took home a 2nd place ribbon at the Cleveland County Fair and 3rd place at the Oklahoma State Fair. 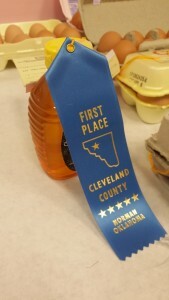 In 2017, we messed around and forgot to enter our entries at the state fair, however, at the Cleveland County Fair, our Private Reserve honey took 1st place for extracted honey and 1st place for comb honey (2 separate entries), and our Wicked Twister Honey took 2nd place for extracted honey and 2nd place comb honey (2 separate entries). In 2017, our Bee Pollen was entered into the dried herbs category at the Cleveland County Fair. This caused quite a stir with the ladies who were judging apparently. They told me when we picked it up that they debated for 30 minutes if it indeed qualified as an herb. Since the pollen comes from a plant, they decided it did. Then, they debated another 15 minutes trying to decide how to judge it. In the end, it placed 4th out of 20 entries, receiving an Honorable Mention, which the lady who handed me my entry after the fair said was a really big deal for that category because it’s their biggest category of entries. She said judging the Bee Pollen was one of the most interesting and fun items they’ve judged in years, and she said it was the first ever entry at the county fair of Bee Pollen. Our honey has become so popular that we sell out every year. This year was a challenging year because the nectar flow started very late, so we didn’t have as much time as usual for our bees to make honey. But, even with these challenges, we still had two separate honey extractions with enough left over for the bees for winter, and it was our biggest honey production year yet, due to our continued growth in the number of hives we manage. This year, we are expanded our operations, doubling the number of hives we have. We hope to be able to continually expand the number of hives we have until we are able to meet the demand for our honey. We are also continuing our Beekeeper Mentor program, and welcome anyone who is interested in becoming a beekeeper to contact us for more information. This program is FREE to any new beekeepers who want to become a beekeeper. 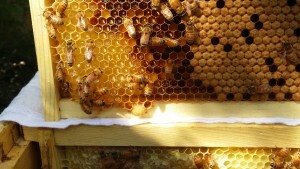 We also offer Beekeeper Services and can assist beekeepers with the installation of their hives. We can also help both hobbyists as well as businesses who simply want to host a hive at their location with monthly hive maintenance, so all they have to do is sit back and enjoy watching the honey bees and know they are helping save the bees! If beekeepers don’t have the time or equipment to harvest their honey, we can harvest it, extract it, and bottle/label it for them. We also offer website design and honey label design services to beekeepers worldwide. If you’d like to have your own beekeeping website like this one, or if you need help designing your own label for your honey bottles, contact us! In 2016, we began offering Beginner Beekeeping classes, and we now have an online beekeeping class available. Our online beekeeping class has students all over the world taking it. Our top countries are the US, Canada, UK, Australia, New Zealand, Grenada, and Africa. 2017 was a great year, and we are now looking forward to 2018 to see what new things it will bring. We hope it will be the biggest year yet for Queen Bri’s Honey! Thanks for visiting our site, and please contact us if you have any questions!